Drink is included in buffet pricing. Call the restaurant for Senior pricing. All prices listed are before tax and subject to change without notice. 5pm-8pmFreeOne child 10 & under per paying adult. Prepare for mouthwatering eats! 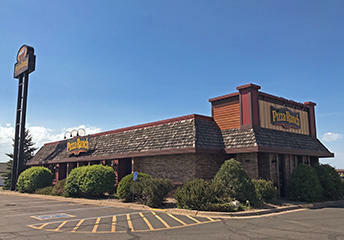 Ride over to Pizza Ranch where we’re serving up a full buffet of delicious pizzas, the Country’s Best Chicken®, and fresh starters—alongside your favorite dessert pizza and ice cream! We have options for the whole family, so bring the crew or let us bring the food to you with convenient online ordering and delivery. Planning a legendary event? Host your next party or get-together in our community room that seat up to 45 guests, or let us cater for you! Conveniently located near the I-94 and Lincoln Avenue exit, we’re close to wherever you are. Ask about fundraising with Community Impact events! Pizza Ranch gift cards are the perfect solution for every gift giving occasion. 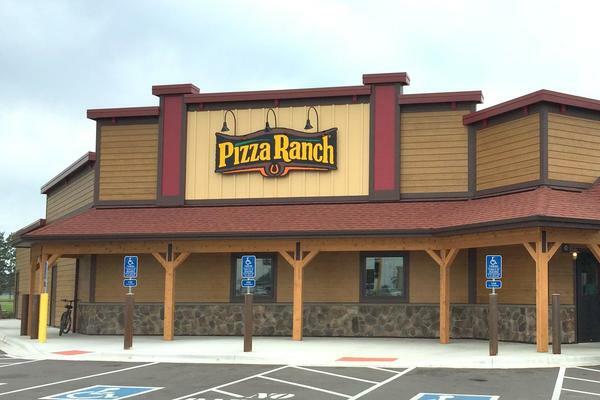 When you give a Pizza Ranch gift card, you’re giving quality time with loved ones, cravable food that appeals to all ages, a night off from cooking and dishes, and a legendary restaurant experience. 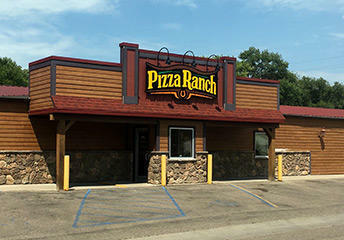 Visit your local Pizza Ranch and pick up a gift card today. End your meal on a legendary note with our new and improved Chocolate Cactus Bread! This warm, chocolatey treat combines the chocolate streusel you're craving with our original Cactus Bread icing leaving your sweet tooth satisfied. Our Vision is to glorify God by positively impacting the world. Our Mission is to give every guest a legendary experience.